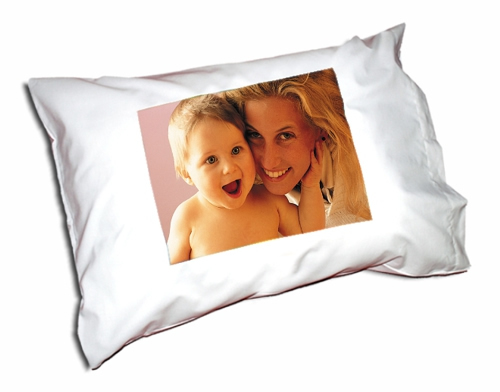 Standard sized personalized pillowcase with your favorite photo, logo or artwork. Snuggling up with a photo of your favorite loved one on a soft photo pillowcase is sure to help you drift off to sleep with pleasant dreams. Great gift for someone far from home. This imprint does not change the feel of this soft knit and woven 100% polyester fabric. It is soft and becomes part of the fabric so it doesn't peel off or crack. A special process that has the amazing ability to pull moisture away from the body in warm temperatures, keeping you cool and dry. In colder temperatures, it helps retain heat - keeping the user warm, dry and comfortable.